I really wanted to try a remake of the Panda Express Orange sauce. 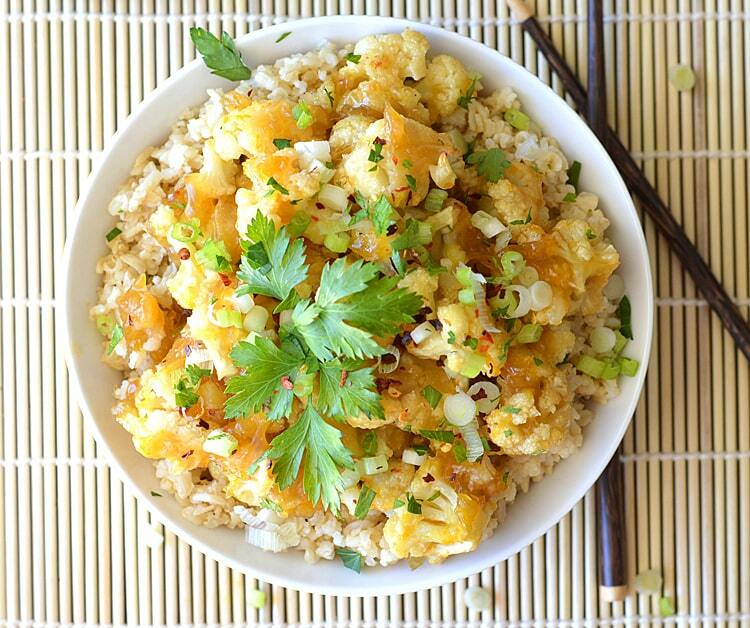 I think you’ll really love this lightened up (vegan) version of the classic dish. Additionally, I know alot of you prefer baked to fried….so I’m leaving it up to you. This dish can be made either way. The batter is the same whether you choose to bake it in the oven as we did here today, OR you can heat a small amount of oil in a wok and stir fry it. Toss with the sauce after it’s tender, cooking for just a few minutes longer. Personally, I prefer it baked. The first thing we need to review is how to make vegan “buttermilk”. I’ve said it before, I’ll say it again – this is my FAVORITE buttermilk alternative. It works like a charm every single time. It’s nothing more than almond milk (I actually used the So Delicious Original Creamer because it’s a little thicker…and it’s what I had on hand) plus 1 Tbl of vinegar left to sit for 5 minutes. If you add more than a Tablespoon, it will curdle and separate (which is fine for cakes, etc. but we want a thick, tangy, creamy mixture today). Dust the cauliflower florets with a very light coating of flour, then quickly toss with the “buttermilk mixture”. Using a slotted spoon, drain off any excess liquid. Into a 375 degree oven until tender and golden. Looks a bit like vegetable tempura at this point. 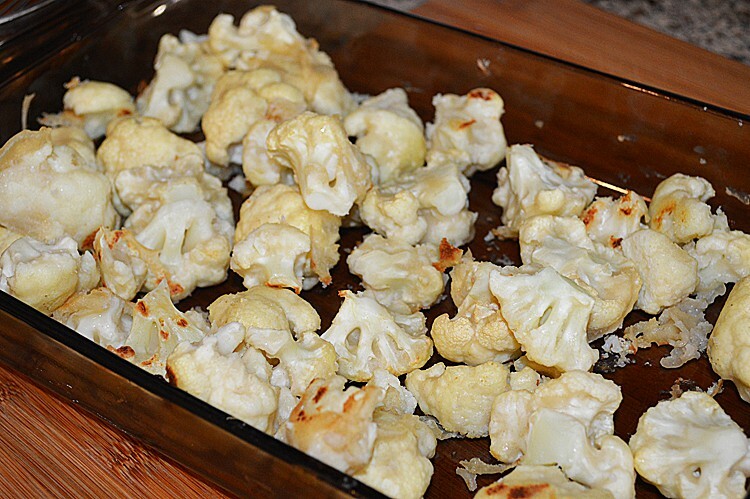 Combine all of the sauce ingredients and toss with the baked cauliflower. Bake for another 5-10 minutes. I actually moved mine to the top rack to get some more color on them. 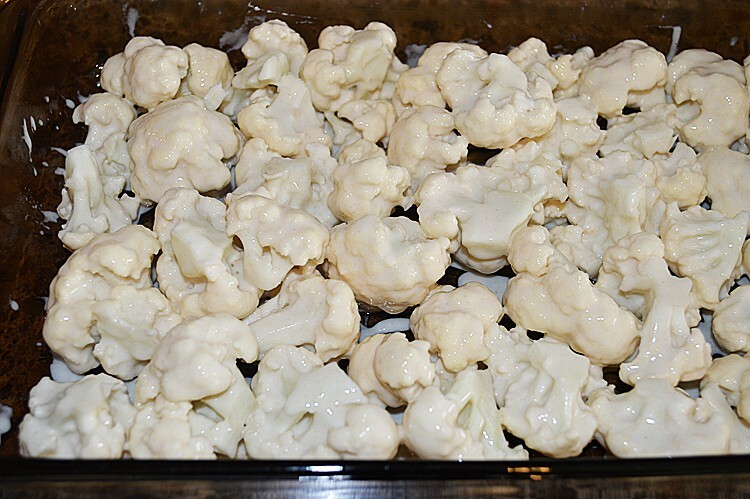 If you’d like more sauce to cauliflower ratio, just double the recipe. 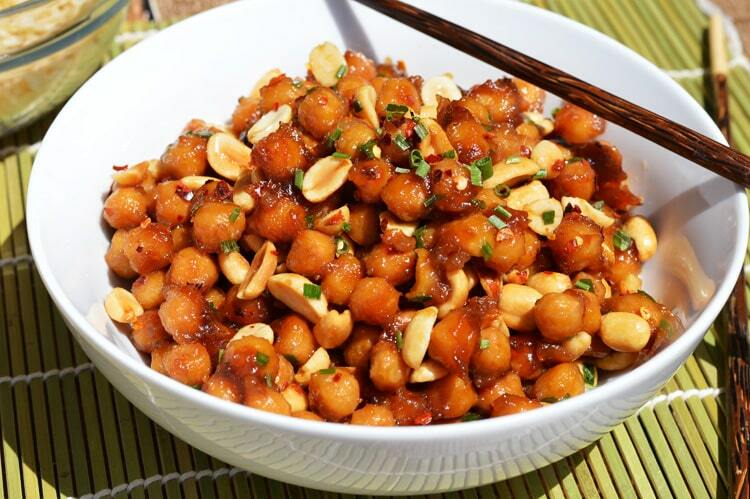 Serve with brown rice, chopped green onions, a few red pepper flakes and a bit of parsley for garnish. Combine the vinegar and almond milk. Let sit for 5-10 minutes to thicken, effectively creating a vegan "buttermilk". Cut the cauliflower into florets. Whisk together the flour and toss the cauliflower into that mixture. 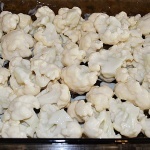 Now coat the floured cauliflower with the buttermilk mixture, draining any excess. Put in an oven safe baking dish. Bake until tender, 20-30 minutes. This will depend on how large they are cut. They should pierce easily with a sharp knife and be golden brown in color. Meanwhile, combine all ingredients for the sauce in a medium saucepan over low heat. You just want to whisk out any lumps from the cornstarch. This will also help thicken the sauce. 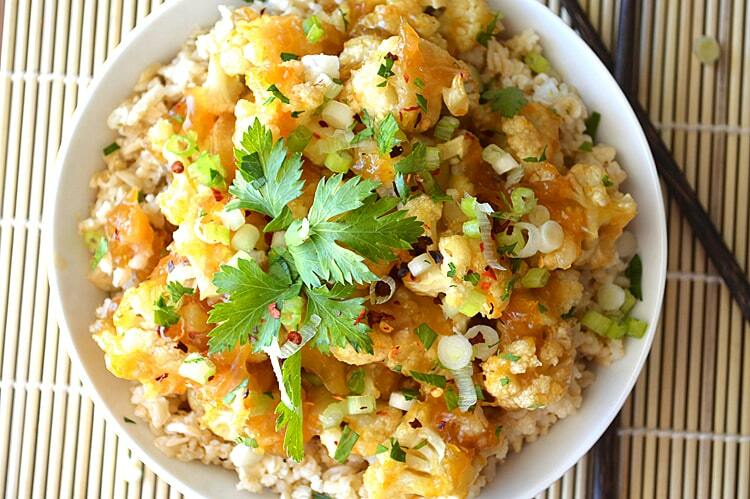 Toss the baked cauliflower with the sauce mixture and serve over the rice. Alternately, you could choose to bake the sauce covered cauliflower at this point for another 5-10 minutes. The sauce will become even thicker. This is how I made mine for today's recipe. 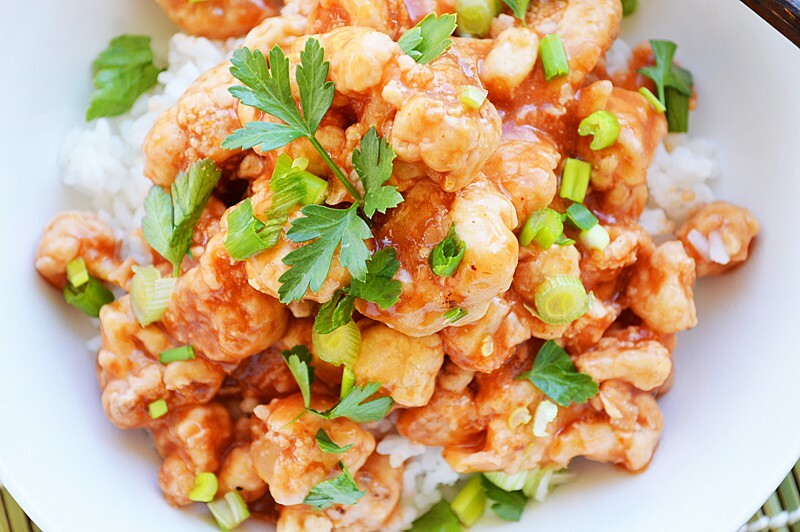 Garnish with green onions, red pepper flakes and chopped parsley.